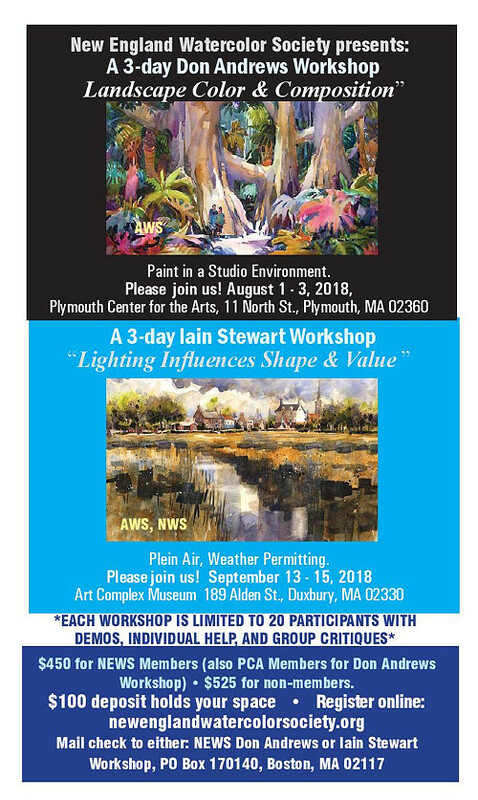 :: Sponsored by: George Marshall Store Gallery, AS220, South Coast Artists, Good Purpose Gallery, Fuller Craft Museum, Solomon's Collection and Fine Rugs, Off Main Gallery, New England Watercolor Society, MAKE BIG PRINTS, Cape Cod Art Center and the Artscope Tablet Edition. This week we're presenting Dedee Shattuck Gallery, Portland Museum of Art, and Jane Deering Gallery with exhibitions that explore broad, all⎻encompassing ideas, from freedom and constriction to the simple line. There are other interesting and exciting events for those who want more. Artscope is sponsoring Newport Art Museum's annual Artists' Ball, taking place on Friday, July 20. All tickets are on sale until 6:30 p.m. on July 19, with the exception of "Drinks & Dance" tickets, which will be on sale until 11:59 p.m. on July 20. In addition, there is an online silent auction open for bidding until 12:00 p.m. on July 20. Check it out if you can! 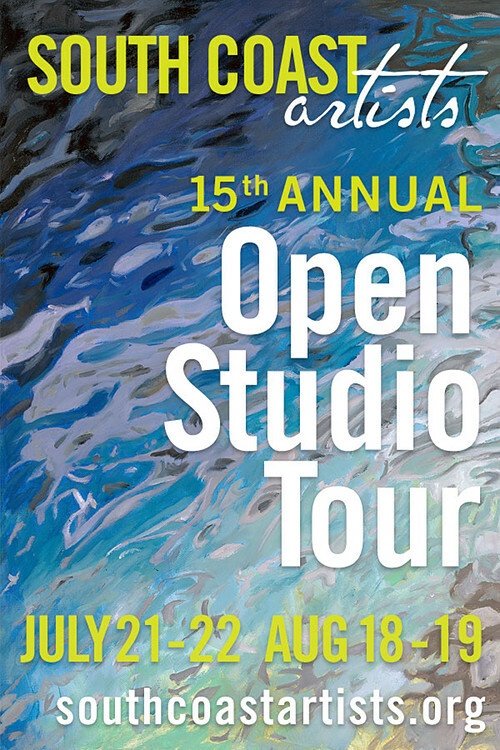 We're also sponsoring South Coast Artists' 15th Annual Open Studio Tour 2018, happening July 21⎻22 and August 18⎻19. It includes over 70 artists across four towns, and it completely free to attend, so give it a look! 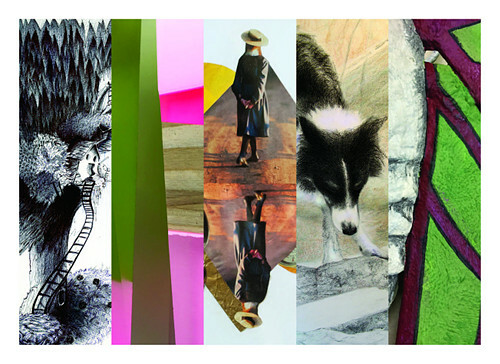 Join us for Attleboro Arts Museum's opening for "8 Visions" on August 1. There will be an artist talk from 6:30 p.m.⎻8:00 p.m. and an opening reception from 8:00 p.m.⎻9:00 p.m. 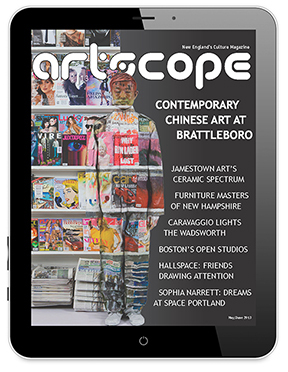 The pieces featured in this exception is juried in part by Artscope founder and publisher Kaveh Mojtabai and is featured in Artscope's current July/August issue. We hope to see you there! The exhibition will be on view until August 31. Artscope is sponsoring League of NH Craftsmen's 85th Annual Craftsmen's Fair, happening August 4⎻12 from 10:00 a. m.⎻5:00 p.m. daily at Mount Sunapee Resort. 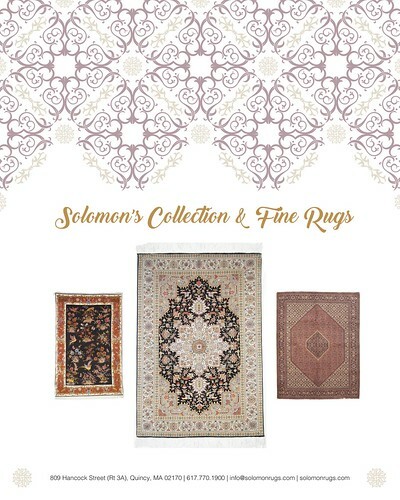 Visitors can view and shop the work of over 300 craftsmen. Tickets are currently on sale; get yours now! Artscope is also sponsoring Worcester Art Museum's exhibition Exploring the Myths of James Dye. The exhibition was featured in the May/June issue of Artscope and will be on view until September 2, so be sure to check it out! Gabrielle Ferreira, Mustard Dollops, handwoven textile, 7" x 10". Dedee Shattuck Gallery is showing "Seeking the Line" from now until July 29. The "Line" refers to the mixed media and textile renderings by the four exhibiting artists who have created rich compositions in the process of studying the power of the line. 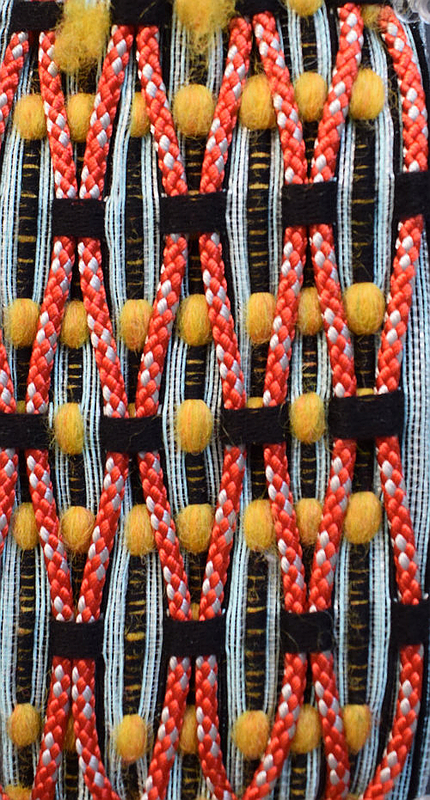 Gabrielle Ferrerira, a textile artist influenced by her Cape Verdean and Portuguese heritage, creates work with a focus towards weaving and print design. Marjorie Forte is a mixed media artist who uses thread to create images "that connect with the past and make us ponder the future." Mindy Horn is a ceramic artist and paper conservator, guided by ideas of growth and transformation through imperfection. Jane Schiowitz works with paint and paper, and has recently been creating pieces in black and white to examine structure in painting. Each artist has her own interpretation and way of exploring the line and every viewer will find a piece that speaks to how they might "seek the line." Dedee Shattuck Gallery is a contemporary art gallery located at 1 Partners' Lane in Westport, Massachusetts and is open Wednesday⎻Saturday 10:00 a.m.⎻5:00 p.m. and Sunday 12:00 p.m.⎻5:00 p.m. For more information, please visit dedeeshattuckgallery.com/july-exhibition. 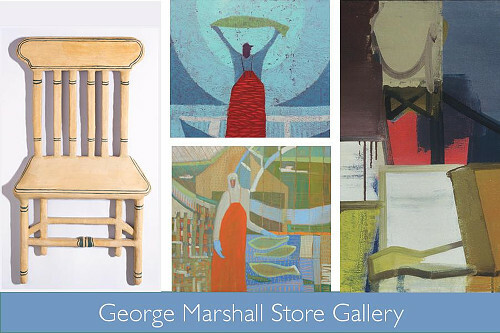 Sponsored by: George Marshall Store Gallery, AS220, South Coast Artists, Good Purpose Gallery, Fuller Craft Museum, Solomon's Collection and Fine Rugs, Off Main Gallery, New England Watercolor Society, MAKE BIG PRINTS, Cape Cod Art Center and the Artscope Tablet Edition. Saturday, July 14, 5⎻7 p.m.
South Coast Artists celebrates its 15th year this summer with the annual Open Studio Tours on July 21⎻22 and August 18⎻19 (11:00 a.m.⎻5:00 p.m.). 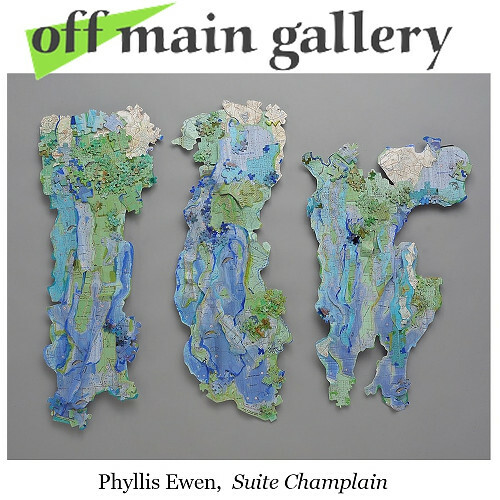 The Tour features over 75 artists exhibiting and demonstrating in their studios, within the landscape of four beautiful coastal towns⎻Tiverton and Little Compton, RI, and Westport and Dartmouth, MA. This FREE tour is for the whole family, especially children. 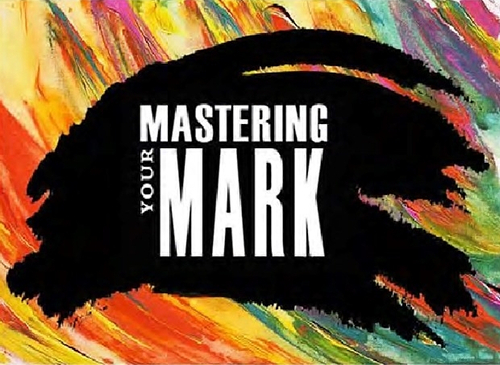 For more information visit our downloadable website at southcoastartists.org. Featuring the highly personal drawings of Frankie Borrero and Grier Horner's Joan of Arc painting series. The show runs until Monday, September 10, 2018. Stacy Latt Savage, Swarm, 2018. Mixed media. Photo: Caitlyn Joyce. 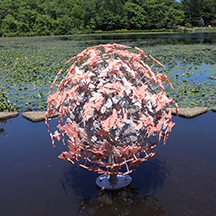 Come celebrate our newest exhibition Grounds for Play: Sculptures that Excite the Imagination, July 15, 2:00 p.m.⎻5:00 p.m. New England Sculptors Association members transform innovative imagination into three-dimensional reality through stone, metal, and more. On view now until October 21, 2018. 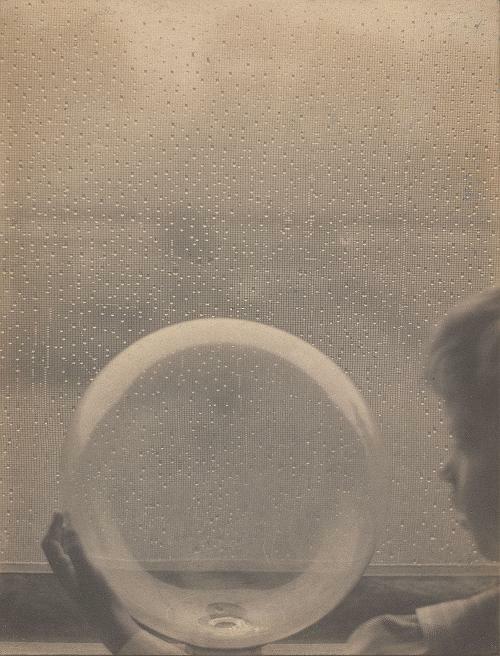 Clarence H. White (United States, 1871-1925), Drops of Rain [Dew Drops] (detail), 1902, platinum print, 20.2 x 14.9 cm. Library of Congress. There are multiple exhibits at Portland Museum of Art this summer. Presently, "Under Pressure: Art from the 1980s" is on view until August 12, showcasing prints, sculptures, and drawings made during the 1980s. The installation is energetic and diverse, revealing the various ways in which artists explore the decade's rapidly changing circumstances. "Under Pressure" uses art to capture the colorful, exuberant, and socially conscious spirit of the 1980s. Also currently showing at Portland Museum of Art is "Clarence H. White and His World: The Art and Craft of Photography, 1895⎻1925," on view until September 16. The exhibition is the first in over forty years to examine the work of Clarence H. White (1871⎻1925), a gifted photographer and founding member of the Photo⎻Secession. It aims to examine the scope of his artistic career, from its beginnings in 1825 Newark, Ohio to its end in 1925 Mexico. "Clarence H. White and His World" aims to showcase White to the new generation of art enthusiasts and reestablish his place in the American art canon. Portland Museum of Art is located at 7 Congress Square in Portland, Maine and is open Monday⎻Wednesday 10:00 a.m.⎻6:00 p.m., Thursday⎻Friday 10:00 a.m.⎻8:00 p.m., and Saturday⎻Sunday 10:00 a.m.⎻6:00 p.m. For more information, please visit portlandmuseum.org/exhibitions. Heidi L. Johnson, Can't See the Forest for the Trees, 2018, oil on canvas, 36" x 36". 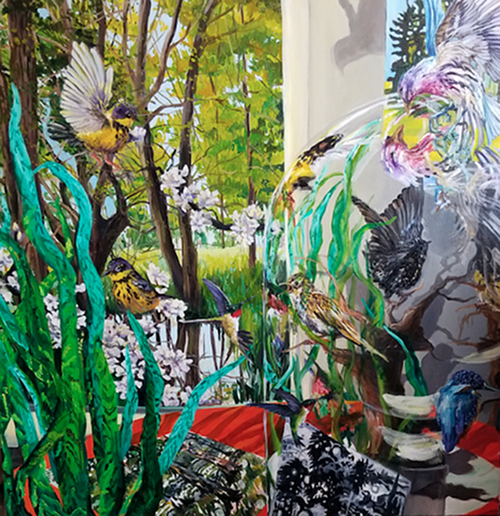 Jane Deering Gallery is presenting "Bird Brained: New Work by Heidi L. Johnson" from now until July 31. Johnson's work has always utilized abundance and color to create lush, beautiful paintings, but her recent works add the elements of flight and freedom to the mix. Her vibrant paintings emulate Dutch still-life paintings, using birds to represent the dichotomy of freedom and constriction. As she says, "The birds in these paintings are a bit confused. As they look at their reflection in the membrane of a glass dome, they see their brethren frozen from flight forever." The simultaneous freedom and imprisonment of the birds contradicts and compliments Johnson's experience with a world that tries to over-analyze and pigeon hole her work, yet her colorful, frenzied paintings defy categorization. Jane Deering Gallery is located at 19 Pleasant Street in Gloucester, Massachusetts and is open Friday⎻Sunday 1:00 p.m.⎻4:00 p.m. For more information, please visit janedeeringgallery.com. 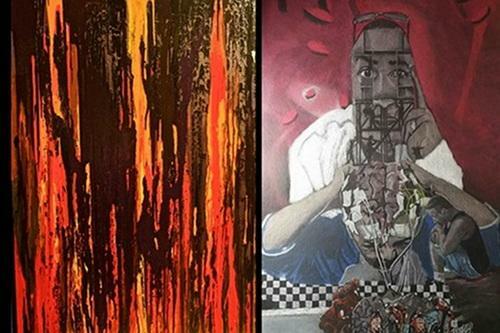 Reception July 21, 6:00 p.m.⎻8:00 p.m.
Works by other Gallery Artists are also on view. Friday & Saturday 2:00 p.m.⎻8:00 p.m.
Sunday, October 14, 2018, 8:30 a.m.⎻4:00 p.m.